When I was down at Duke reading all those letters–thousands and thousands and thousands of letters–I came to like certain people just because their letters made me laugh, or think, whatever. 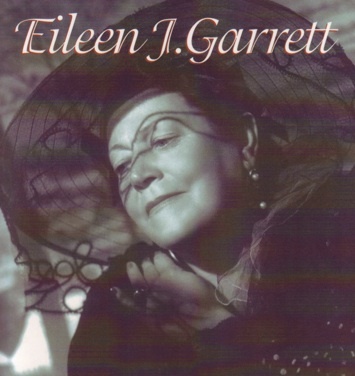 One of the people I came to like was an Irish medium named Eileen Garrett. I decided she had to be part of the book. First, she arranged for crucial financing for the Parapsychology Lab. She was funny and compassionate. She was also this amazingly entrepreneurial renaissance-type woman. She knew how to get money, she started a publishing business, a magazine, a foundation. She took care of people. Just like Rhine really, but she had a completely different style. She is the perfect counterpoint to J. B. Rhine. They made a very interesting team, although I wonder if either of them would have called themselves a team. I’m going out to Greenpoint to talk to Eileen Garrett’s daughter and granddaughter next week. I cannot wait. Also, I haven’t been out to Greenpoint since the 70’s. Ohmygod, I just realized. I have pictures — from when there was nothing out there except an abandoned, decaying hotel. I should find them and scan them. Meanwhile, here is Eileen.